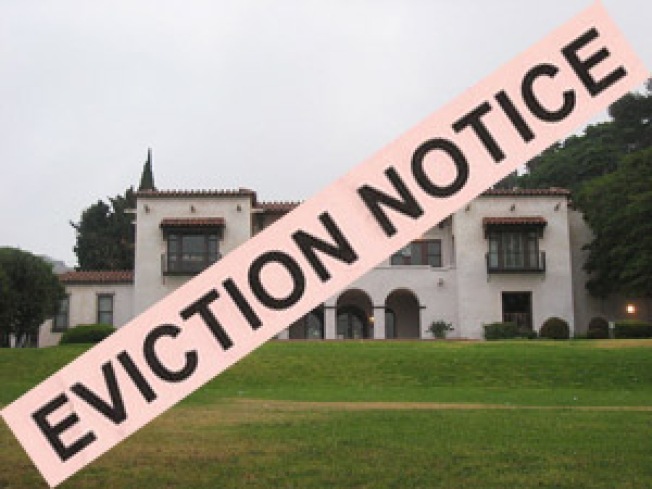 Over the weekend, the LA Times's Bob Pool reported that the Hollywood Heritage, described as Hollywood's leading preservation group, and an organization which has overseen the Wattles Mansion for more than two decades, is now being accused of failing to maintain the historic structure at 1850 N. Curson Ave, and has been handed a 30-day eviction notice by the city. According to the Times, the city is accusing the Hollywood Heritage of not only refusing to turn over financial records relating to events (the group rents out the structure), but of not overseeing the unruly parties that go on at the place. "Nearby residents on dead-end North Curson Avenue complain that partygoers' cars clog the street and block driveways. They say that loud, amplified music echoes through their hillside canyon on party nights." But in these Internet-quick times, a long note on Hollywood Heritage's web site refutes the Times story, denying the allegations and stating the group has been "maligned and damaged" in the press. Meanwhile, events previously booked at Wattles will be honored, but given the new attention on the place, your wedding may not be the raucous event it could have once been.